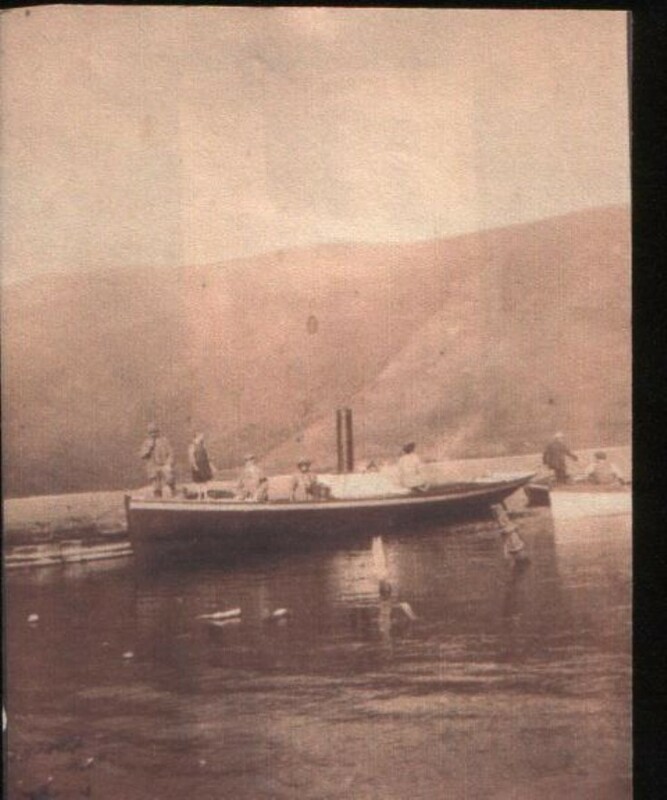 Launch "Sheail Drake"-Murdo Campbell on the prow on Loch Ericht-early 1900's. The vessel could be the Plymouth registered Heron length 37 feet built in 1885 at Dartmouth by Simpson & Dennison. The Ship's papers contain a letter: Dated 8 February 1911 stating that the vessel had been purchased by the writer, C. D. Johnstone, Lt. Col. from Messrs Beazley of Southampton, for use by the Truimbank Hotel, Dalwinnie, of which he was the proprietor, for sailing on Loch Ericht and enquiring what action was required. No reply is with the papers.